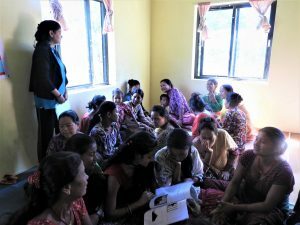 Nepal Jesuit Social Institute has been conducting awareness programs in various places to aware and educate women on Constitution of Nepal and Fundamental rights and also to share knowledge on women’s right, gender based violence and SRHR. 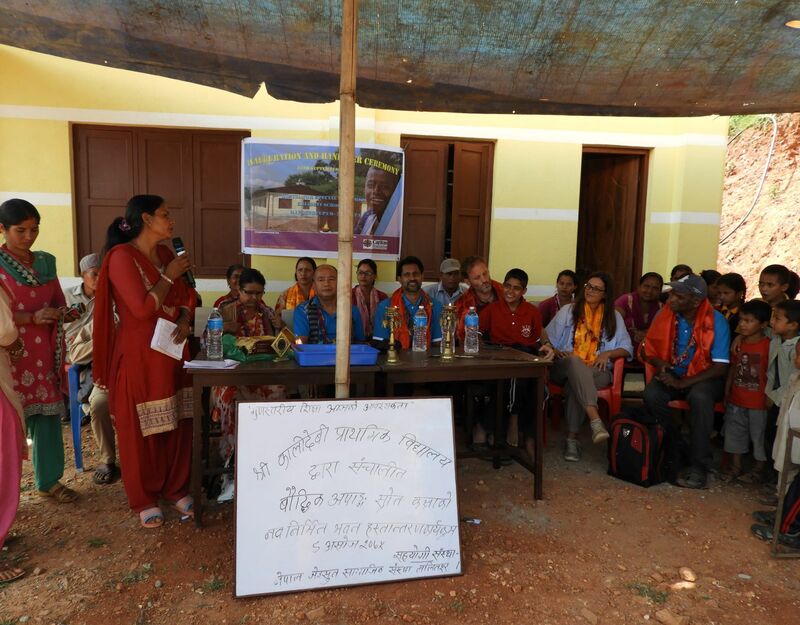 On 14th October, NJSI team went to Jaretar, Kavre to conduct Paralegal Program for 2 days. Jaretar is a small village, 45 minutes driveway from Panchkhal Bazaar, inhabited majorly by the people of Danuwar community. On the very first day of the training participants were made aware of the Fundamental rights of every Nepali citizen as mentioned in the Constitution of Nepal and on the second day, the program started with a role playing skit for explaining hegemony in the society. The participants themselves participated in the skit and experienced and learned the meaning of it. The team then worked with the participants to understand and explain Gender based violence and basic components of Sexual and Reproductive Health and Rights. Post evaluation was also carried out to ascertain that the participants had understood what was delivered to them in the two day program. Certificates and refreshment were provided to the participants to mark the end of the program. It was found that many of the participants had not heard about something as Fundamental Rights and Constitution Rights or even Constitution in itself. Those who had heard about it, had little or no idea about what it comprised. The women opened up a little more after the skit and role play. They put out their queries, enacted skits and were more active throughout the program. Towards the end of the program, they kept on asking if we had more content to talk with them about which was out of their curiosity to learn more. Integrated Pedagogical Paradigm (IPP) is a method which focuses on the holistic development of children rather than only focusing on the book and knowledge based approach. The idea was introduced to expose teachers to different teaching methods that can be fruitful in teaching and learning approach. 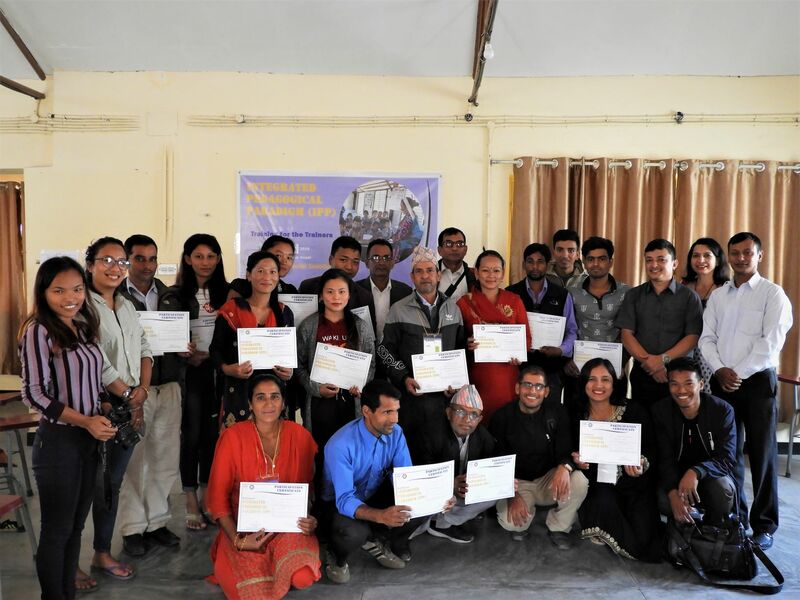 A two days long program of IPP training was conducted by NJSI in which 19 teachers were invited from 6 government schools of Kavre, Sundhuli, Sindhupalchowk and Ramechhap Districts. On 11th October 2018, the program started and was focused on briefing the flow of teaching and learning: Context, Experience, Reflection, Action and Evaluation and techniques of making lesson plan. The session incorporated different group activities, reflecting on songs and metaphorical stories and applying them as a teacher. Another day on 12th October, the day was followed by evaluating self in terms of teaching professionalism, role of a teacher in counselling the children, different techniques to make classroom environmental friendly and learning. With more exposure to such program and practice, it is hoped that they will be able to implement the idea of values and reflection in their methodology. 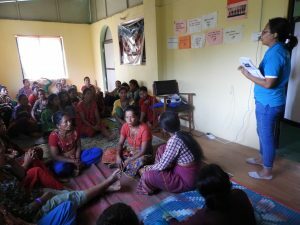 Nepal Jesuit Social Institute has been contributing in the different sectors like education, protection and livelihood in the earthquake effected areas since 2015 and this time NJSI team went to Suri, Dolakha to facilitate women out there about our new Constitutional rights. On 6th and 7th October programs were conducted in two different places of Suri. 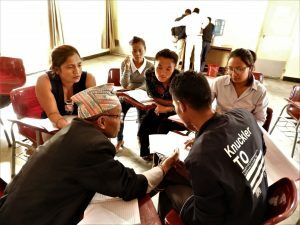 The first place consist people of Tamang Community with 33 participants and on the second day people of Surel community was facilitated with 24 participants. The program started with ice breaking game and then followed by interesting presentation and fun activities that make the participants actively participate. The presentation mainly include all the basic rights of women, legal laws on domestic and sexual violence and general information about Sexual and Reproductive Health and Rights(SRHR). At the end, certificates were distributed to them for participation as an encouragement to get involved in these kinds of programs. Despite of their busy schedule during Dashain, they manage their time for the program and attended with full enthusiasm. They showed their interest by asking questions about the laws against Domestic Violence and Polygamy. They also helped us in conveying the message that we should stand for our rights and speak against the crime without any hesitation. They expressed their gratitude by thanking us personally for empowering them about on Sexual and Reproductive Health and Rights. 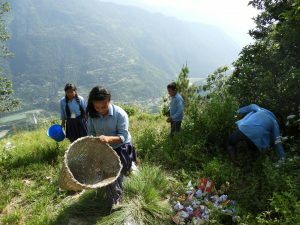 On 27th September, a two day long camp was organized for the students of grade 8, 9 and 10 of Shree Saraswati Secondary School at Balephi-7, Sabhachaur which is approximately 5 km uphill from the main road of Khadichaur, Sindhupalchowk. The village has a thick residence of Tamang community and people from Brahmin and Chettri community as well. A total of 48 students participated in the program. The camp was conducted to improve personal development of students through exposure to higher education and career opportunities and also to help the students to identify their potential and encourage them to be mindful of self, community and environment through promotion of creative thinking through presentations, interactive sessions and conducting activities. Meanwhile Eco-club was also introduced in which importance of the environment was discussed with the student representatives of the school. President, Vice President, Secretary, Treasurer and Logistics Coordinator were elected among the students and later at the end of the program, students were asked to clean the surrounding of the school. Reinforcement provided through the healthy competition motivated the students to be an active listener and active participants. To conclude the program, 3 best scores were awarded with gifts. Meanwhile other participating students were also provided with certificates and small gifts. Students expressed their thankfulness towards the program for helping them identify even more scopes and areas for higher education. They shared that their knowledge of fields of study has broadened after attending the program. Eco- club was relatively a new topic for the students, so they expressed learning something new. 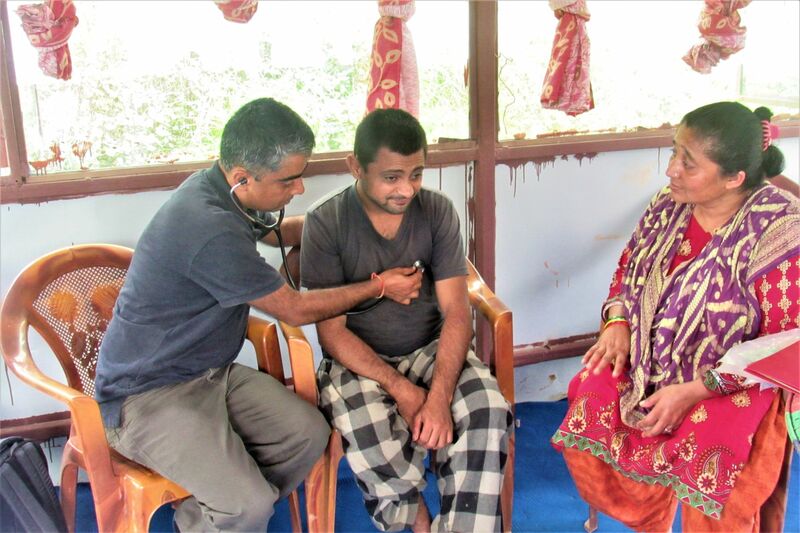 NJSI staff along with Doctor and two lab technicians went for the medical intervention at Kavre on 26th September, 2018. The intervention was conducted at two different places. Bhagwati School is located at Kharelthok and has 20 special children whereas Kalidevi School is situated at Kunta with 10 special children. In the program blood samples were collected and regular medical checkup was done for the safety of children. It was difficult to conduct their medical intervention as their cases were slightly severe but they were cooperative throughout the blood withdrawing process. Caretakers adored the medical intervention for the special needs children and they shared their wish for continuation of such program and not to limit it in just a onetime medical intervention. They also appreciated the way that the doctors made children feel secure throughout the process. Special children of Kalidevi School can now have a better residence after inauguration and handover ceremony of newly built hostel on 25th September. There are altogether 10 special children and the school is situated in Mandendeupur-7, Kunta of Kavre district. NJSI team along with 2 representatives from Caritas Italiana (Sponsor), Deputy Mayor of Mandandeupur Municipality Ms. Nirmala Shahi, local women’s group, students and committee member of school gathered for the program which was short and precise with the introduction and felicitation of the guests followed by official inauguration and handover of the hostel to concerned authority. The presence of all the students of Kalidevi School made it more special as everyone was so excited to be a part of the ceremony. Despite of the scorching sun, they were carefully listening to speeches and enjoying to the fullest. The hostel is designed for the children who are mentally challenged and their mental status varies heavily as some of them are able to make conversations but some of them are still unaware of themselves. The previous hostel was too congested and was not designed well for sufficient light and fresh air. Now they have separate rooms for boys and girls and also have enough space for dinning, studying and conducting any games or activities. Their caretaker, Ms. Fulmaya seem very happy during the program and Deputy Mayor also expressed her gratitude towards NJSI and Caritas Italiana for their support.